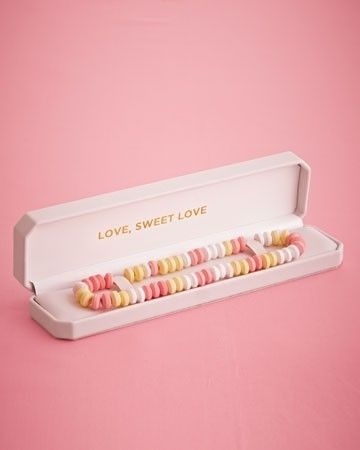 I recently went to a family celebration and was intrigued by the host’s unique way of thanking guests for attending by offering a beautifully decorated candy table. 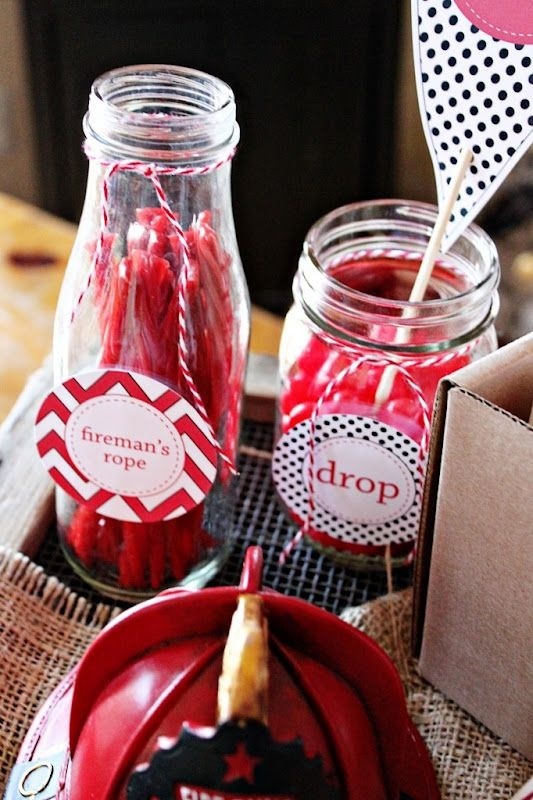 Large glass jars and huge bowls were filled with an assortment of popular old-fashioned and current sweets. Gorgeous vases were brimming with colorful hard candies, chocolates, and licorices. There was something special for just about everyone to enjoy! The whole experience reminded me of my childhood and the penny candy store I used to ride my bike to visit. I couldn’t wait for the cashier to fill a brown paper bag to the top with pieces of my favorite candies from inside the glass case. My mouth waters just thinking about it! 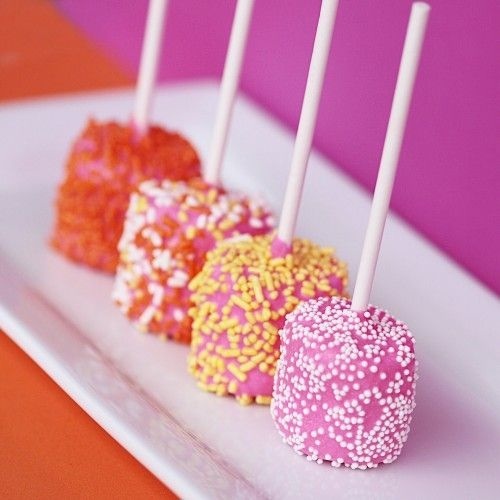 Dum Dums looking regal in a tall and fancy glass. 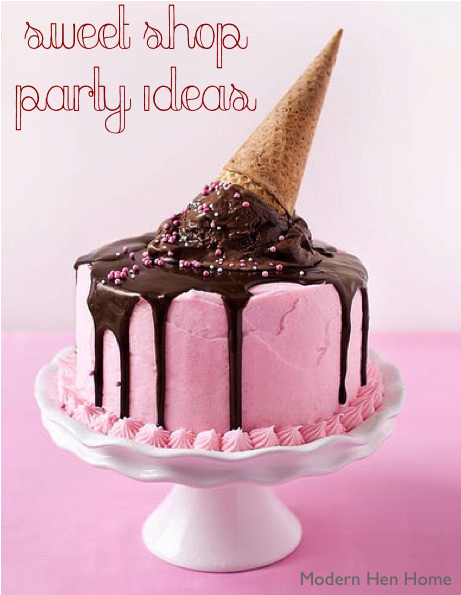 Anywhoo… back to the real world and a little Pinterest sweet shop party idea inspiration! 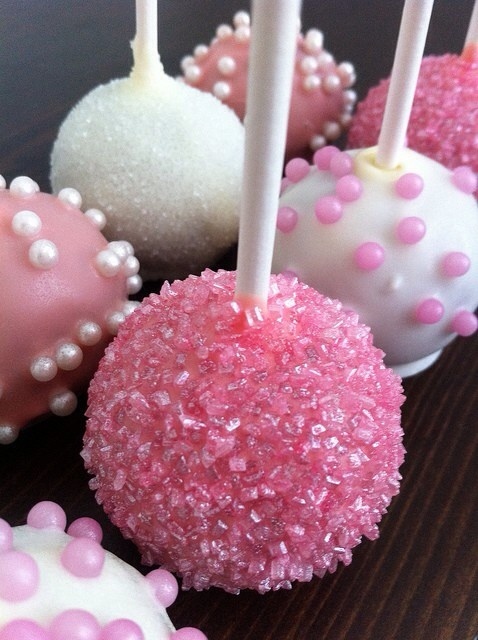 At this particular event the kids went crazy filling pink and white striped bags with silver scoops of sugary, edible souvenirs. Even the adults got into it and grabbed a bag or two for filling up. It was so much fun choosing whatever I liked, but just as much fun watching guests smile, laugh, oooh and aaah while handpicking their favorites. 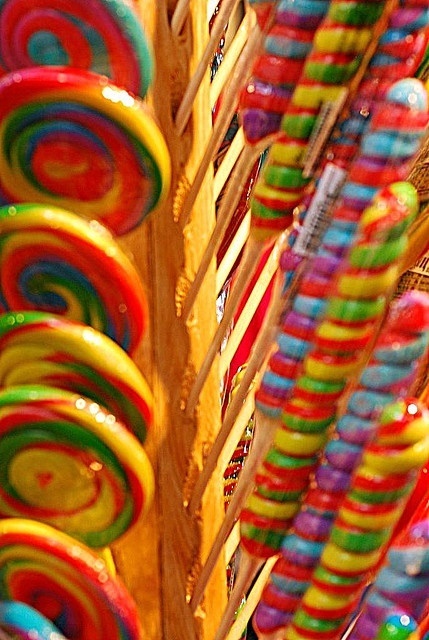 I remember getting swirled lollipops like these as a gift or on special occasions when I was a kid. They remind me of the game Candy Land and the movie “The Wizard of Oz” with scenes of the Munchkins and the yellow brick road. The retro and old-fashioned motifs are sheer fun and I love how they attract the mature guests as well as the little ones. 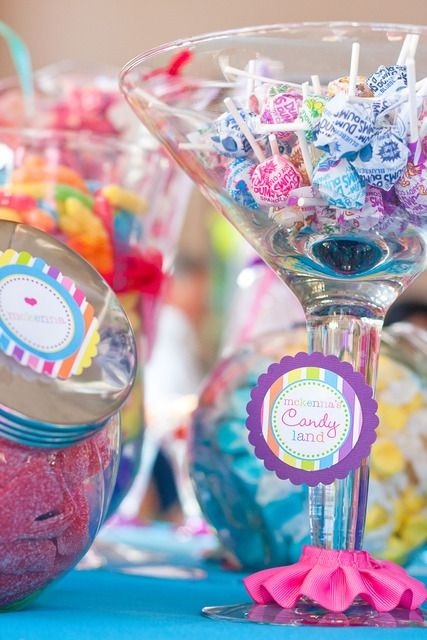 Many of the guests at the party were excited to find candies they hadn’t seen since their youth, and the younger kids were intrigued with seeing some of them for their first time. 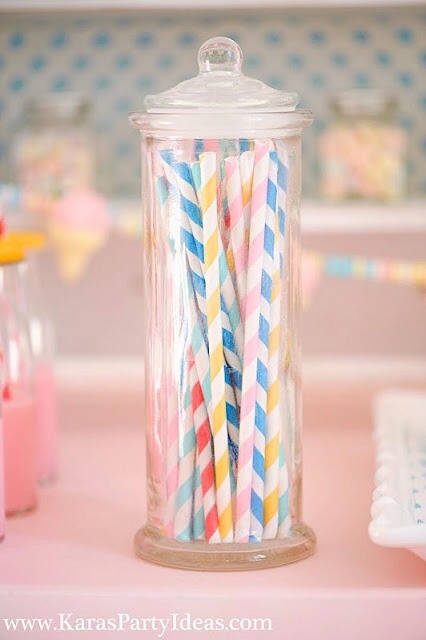 This photo reminds me of a 1950’s soda shop and is a great idea for an ice cream social. Colorful cake and marshmallow “suckers” rolled in sparkly sugar and confetti sprinkles make for delicious treats and look so beautiful on a table. 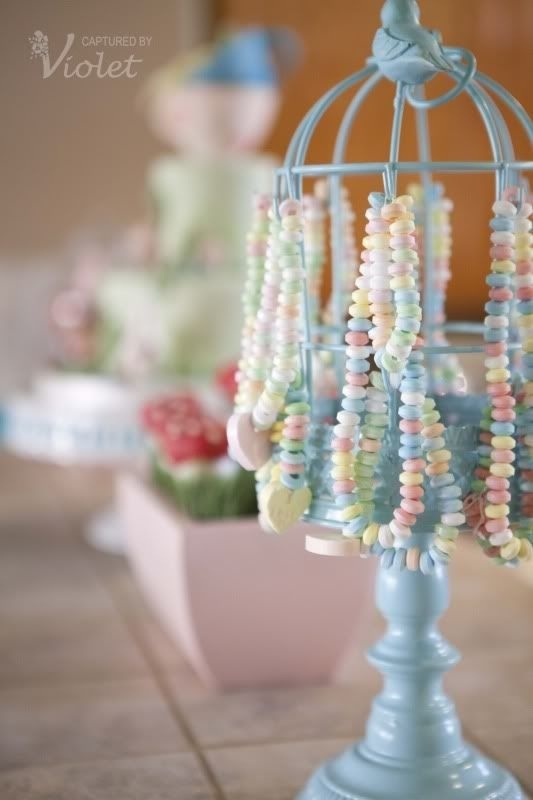 I think most young girls who would love to open a gift box with a candy necklace or receive a jewelry tree filled with strands of them, too! I love this fireman theme. It could easily be adapted to a farmer or favorite character from a children’s book or movie. Such a pretty display of colorful confectionary and clever use of glass containers, bowls and covered cake display. So fun! 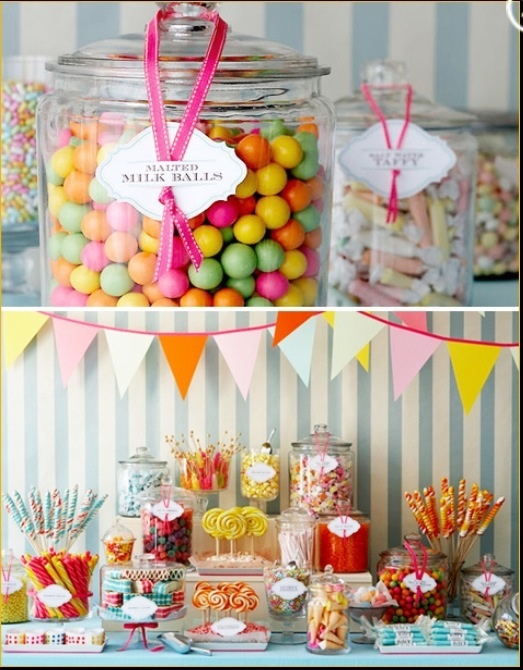 With the variety of candies and beautiful apothecary jars available, along with the invention of Pinterest, my imagination runs wild with candy shop party idea possibilities! How about you? 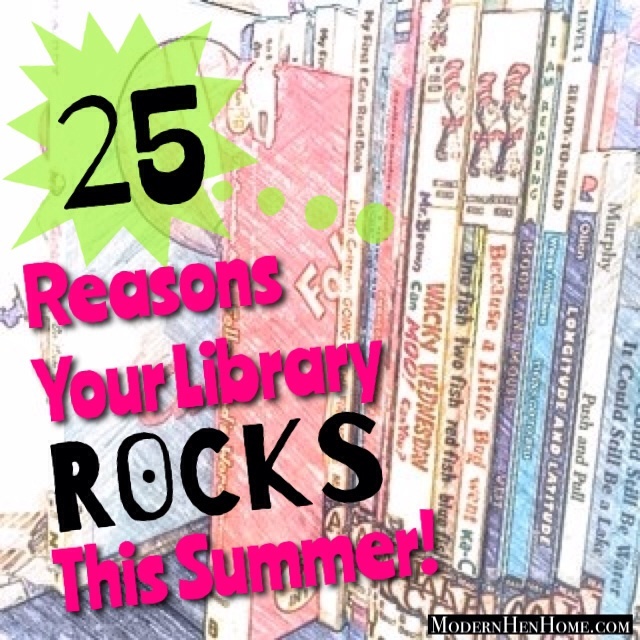 25 Reasons Your Library Rocks This Summer! To our good fortune, most of us have a library not far from home and there are many reasons to take advantage of yours this summer. The public library is easy on the wallet, it opens doors to the whole family’s imagination, and there is plenty to discover for all ages — from toddler to grandparent. Besides complimentary use of almost everything under one roof, most library systems support what’s happening in the community such as area and state-wide tourist attractions, and often partner with local festivals and concerts to bring in a variety of affordable, and oftentimes free, entertainment. 1. Membership is FREE and it has privileges! The use of almost everything offered at your library will be free to rent or available at a low-cost. 2. You will find a huge selection of books, magazines and newspapers to sit and read in the library’s lounge or sign them out and take them home to read at your leisure over a few days or weeks. 3. Audiobooks can be borrowed and used to entertain during long car trips. And they offer those with low-vision or blind another way to connect and learn. 4. DVDs & VHS tapes of family movies, classics, documentaries, and tv shows are available. You can watch programs with the kids that were popular when you were their ages, and oftentimes had great life-lessons in their themes. 5. You can get popular music on CDs and hard-to-find classics on tape cassettes. 6. Internet, computers and technical equipment is usually available free of charge. 7. Working from home this summer? While the kids are discovering their library, you can work away at a table nearby and also have use of the branch’s low-cost copiers and fax machine. 8. Libraries foster independence in kids. Finding, checking out, and accepting responsibility for membership are all small steps to independence. 9. Summer camps! Not only is the library a creative distraction from tv and video games, but many offer themed summer camps to keep the kids busy exploring outside and interacting with others. The summer day camp offered at our local library is called “Civil War Experience” — the kids can have fun while learning a bit of history, too! 10. Most have children’s areas with puzzles, toys, games and outdoor parks to keep them engaged and socializing. 11. Check out Moms and Parenting groups to connect with others, swap tips and share advice. 12. Travel clubs can be found at your library. Do you dream about taking the whole family on a trip to Disney but need to do it on a squeaky tight budget? Ask if there are groups that meet to discuss budget and family travel planning. 13. Most libraries offer computer education games for all ages. Keep the kid’s on their toes over the summer but in a fun way and they won’t even notice they’re building skills. 14. How can the library benefit your family pet? Your family can learn how to best care for and train your pet through a variety of books and videos for rent. 15. Join a Writer’s and Reader’s club for kids and adults. The club close to my home meets in a park near the river in a beautiful setting throughout the summer months. 16. Learn to quilt, knit, crochet, paint, finger paint, sculpt and draw. Check your library’s catalog and get signed up! 17. Acquire couponing skills to maximize money savings. Ask if your library offers guest-speakers on this topic and others that interest you. 18. Restyle your home this summer and borrow art from the library. Many branches offer art for rent or purchase. Ask if they will be hosting an Art in the Park or festival where you can support local artists or even enter your own art. 19. Stroll their indoor/outdoor gardens and arboretums. Attend lawn concerts and pack a brown bag lunch to enjoy eating while listening to live music. Check to see if your library will be hosting a “Green Gym”, or something similar, to state parks and recreation areas where you can walk, run, bike, and swim for FREE. These passes are popular so be sure to sign-up right away. 20. Visit and support the library’s gift shop, cafe or snack area. 21. Go to “Author” signings . Famous people are often booked to come in and discuss their careers on the big and small-screens, where their lives are today, and recent books they have written. Some are authors of children’s books, too. 22. Take part in book fairs and fundraising raffles. Let the kids do all the choosing, registering and handling of the money for purchases. 23. Do you need a summer meeting spot for your scrapbook or craft group? See if your library’s activity room (offered to non-profit groups) is available, or meet in their public lounge area, cafe or on the lawn while enjoying refreshments. 24. Ask about tickets to local concerts, entertainment, and to purchase discount parking passes to state-wide cultural events and tourist attractions. You may be pleasantly surprised by all the connections and savings your library has waiting for you locally and state-wide. 25. And last but not least, your library is the perfect place to spend a hot, muggy summer’s day to get out of the heat. Invite a friend to join you and have a great time at the coolest place in town — your library! And if that weren’t enough, here are a few more suggestions to consider: Check your library’s website for special events and browse their online catalog for more information on regularly scheduled programs. Since most library branches are on community bus routes, consider taking the kids there on a field-trip to teach them how to use public transportation. Your library staff will be happy to guide you in getting the most out of your experiences, so be sure to ask questions. With so many reasons to ROCK your local library this summer, you may have a hard time deciding where to start. Remember your library any day, but especially this summer when there are so many fun things to do there this time of year.